After Odds On Rhodonite turned became the favorite after the probable favorite scratched, our first of four Maywood stakes on Nov. 15 resulted in a third ($2.10). But then all hell broke loose as the trio of top events left were struck hard by our choices, making us the only Internet source that handed out three winners of considerable value, along with two exactas from those events. In the Galt we had it dead on, cold, as Rossini won ($8, $5, $4) and Dewycolorintheline finished second ($8.60, $3.80). Our tandem was an exacta worth $59.20. In the Cinderella we backed Pertty Music and she was the winner ($19.40, $5.80, $4.80). 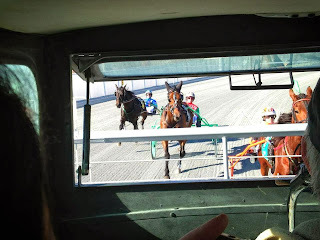 And our major upset in the Windy City Pace shook the standardbred world as Word Power won ($15.80, $2.80, $2.80) defeated the so-called lock, Lucan Hanover ($2.10, $2.10) and the other horse we mentioned to be in the mix, Apprentice Hanover finished third ($3.60), resulting in an exacta worth $39.80 and a trifecta worth $130.80. It was another dead on, cold result and the conclusion of a great night for TwinSpires harness blogs. The H2W results list across-the-board prices. The opening of the New Meadowlands is making a lot of fans and gamblers excited. With the track turned around a new grandstand structure, horsemen are ready to understand if and how the racing is affected. For one, the sun will set more dramatically watching from what used to be the backstretch. The new grandstand is located where the barns once stood. From now on there will only be shipping to the Meadowlands to race. The opening of the new facility is set for Nov. 23. Racing will take place on Fridays and Saturdays through Dec. 28. In 2014 the winter meet will go from January through March with a Thursday-through-Saturday program schedule. We will have a full report of the opening but before that, in our next blog, we will cover what we can of the first weekend. Over the past decade, standardbred stallion fees have declined even for the most popular studs. So it is almost landmark in the new millennium to see a stud fee raised. But the overwhelming success of Somebeachsomewhere has prompted the horse’s management team and Hanover Shoe Farms, where he stands, to make his 2014 fee $30,000. It wasn’t just the tremendous success of Captaintreacherous. Somebeachsomewhere is the leading earning sire in the sport and has done especially well this season with frosh fillies. Pet Rock, a favorite of these blogs and a winner for us more than once at fair odds, will retire after this season. 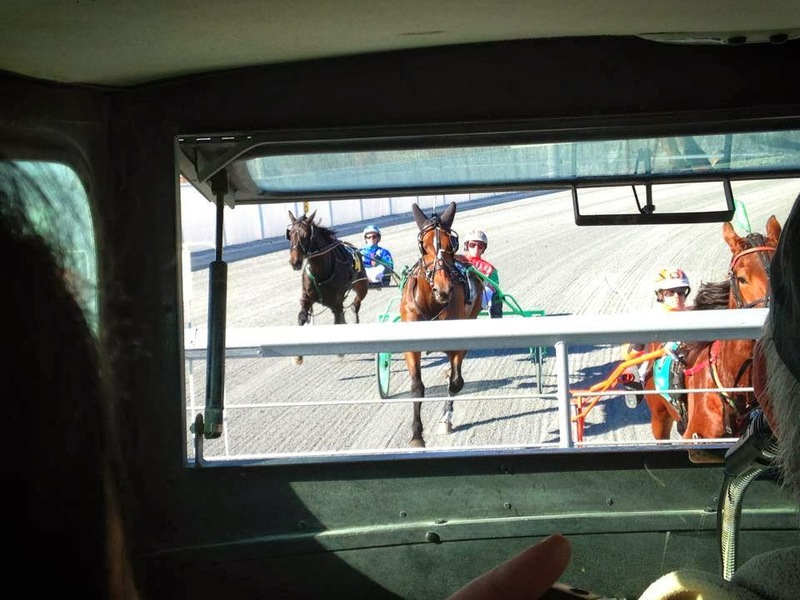 The older pacer is set to race in a new $500,000 pace at the Meadowlands on Nov. 30. He will perform stud duty in Ohio, standing for a fee of $6,000. He is a winner of over $1 million and the owner of the fastest mile ever won on a half-mile track, coming at the Delaware fair when he won in 1:48.1. Also, he won at the Meadowlands in 1:47. Trainer Ron Burke recently became the first harness racing conditioner to surpass the $20-million earnings plateau. He has also won 981 so far this year and that too is a record. Burke has led all North American trainers in wins and earnings for four-straight years and should make it five when 2013 ends.